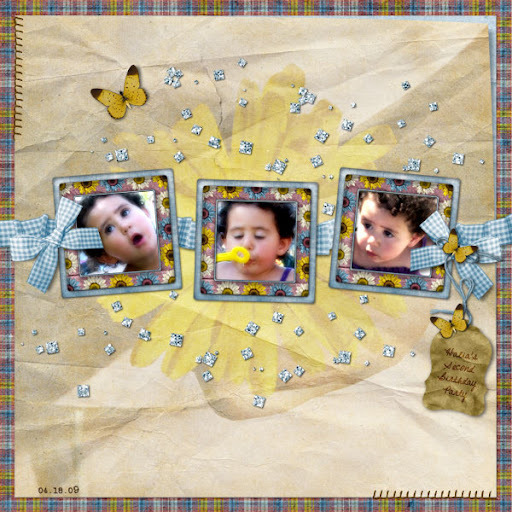 Bon Scrapatit Designs: OH, MAMMA MIA!!! I HAVE A SCRAPATIT FOR YOU!!! Hi y'all!!! YUP, I've been a bit MIA the past several days and a bit out of my element from those middle of the night rendezvous to pick my son up from work! AND, last night, Robert and I FINALLY watched the MAMMA MIA DVD that Joan sent to me for Mother's Day!!! OMGosh, OH MY GOSH!!! We BOTH loved it!!! I had NO idea the music was all based on ABBA songs and we ADORE Abba!!! In fact, I not ONLY laughed watching but CRIED as well! My oldest daughter who has a TREMENDOUSLY gifted ability to sing used to sing her heart out around the house and guess which song of ABBA'S she sang at the tender age of eleven??? You bet your SWEET bippy, DANCING QUEEN!!! Somewhere, I have her recording on cassette tape! And you just KNOW that I had to call both girls. Hi Joan, this is your sappy mother .... I got her voice mail, but April answered the phone and I told her HOW much I was thinking of her while listening to DANCING QUEEN and HOW much I love and miss her!!! I was like SO shocked when she informed me that she had not seen MAMMA MIA yet!!! WHOA! This is my girl who ADORES musicals and used to memorize the scripts when she was all of about two or three! Anyhoo, if you've not seen it, it is now on DVD and is WELL worth the one hour and forty-five minutes MANY times over!!! LOL! I loved it SO much that I put it on my computer and sang along while working on my "scrapatit" and layout!!! LOL! WEEEEEEEEEEEEEEEEEE!!!! How is everyone??? Did y'all have a NICE weekend? Have you been scrapping? I know a few of you have posted layouts on your blogs and I will get there just as soon as I am able to take a peek, but you KNOW that I would LOVE for y'all to be posting them here on my blog in the guestbook too, right? Uh, huh! Thank you to ALL of you who have posted recently!!! BELLISSIMA!!! I shall be fairly quick (HA, HA!) as I have THREE projects that I need to begin working on, one being Kim B's May Color Challenge, the June Blog Train AND my VERY first collaboration with my VIRTUAL daughter, Sarah Laming aka Designs by Sassy! PHEW! Y'all know that I am a SLOW scrapper and a SLOW designer so I DEFINITELY have my work cut out for me, eh? ROFL! YUP, but I wouldn't have it any other way as it is my PASSION! I've been involved with this year's Creative Team Appreciation Week and contributed to the HUGE mega-kit, MY CT ROCKS, that is being given out to ALL of the participating designer's creative team members! 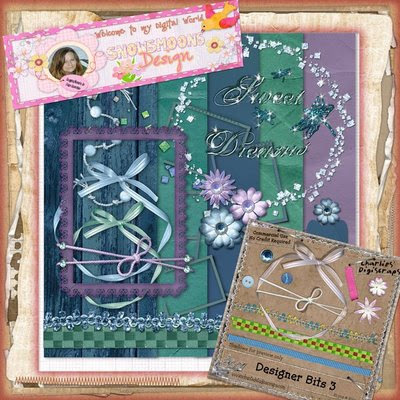 I am also hosting a scraplift challenge so I will be spending most of this week back and forth there leaving love in the gallery! For ANY of you reading that are on a creative team, I just wish to let you know right here too just HOW much you are appreciated for helping to make our designs SHINE!!! While I don't yet have an "official" creative team, I do have the CT at One Single Seed and some VERY near and dear friends, who are also designers, that have helped me out over the past several years and I wish for EACH and EVERY one of you to know how MUCH y'all ROCK ... and then SOME! THANK YOU, THANK YOU, THANK YOOOOOOOOOOOOOOOUUUUUU!!! MWAH! For any of you who might be interested in seeing what we have going on over at CTAW, you can click on the LARGE banner at the top of my blog to be transported over for a peeksie! Click image above to be transported to Dawn's blog! I am leaving y'all with Scrapatit #3 from *Girasole*! I still need to finish the tag alpha and will post it soon. 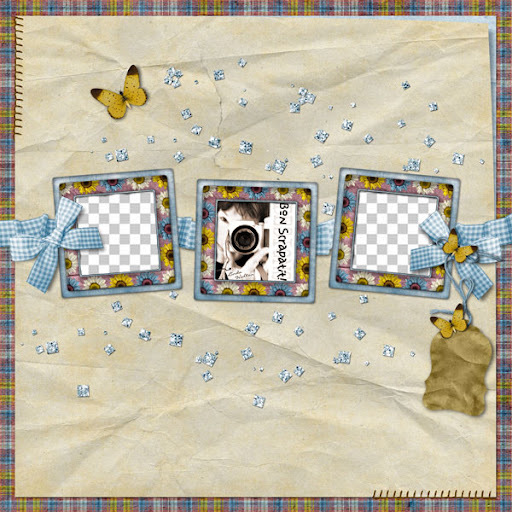 I really enjoyed doing a bit of scrapping while creating this "scrapatit". The photos are of our DARLING little niece, Halia, who celebrated her second birthday on the same day that Kaleb celebrated his FIRST! Halia's party was on the 18th last month, a week after Kaleb's and this is part of what kept us hopping!!! The blended flower in the background was SOOOOO perfect with this kit and I had forgotten that I'd even taken it until browsing through Halia's birthday photos that I took! The flower is actually in the hand of one of our other nieces, Annalise! How COOL is that!!! I hope you like this one as much as I do! Let me know what y'all have been up to and if I've missed anything SUPER exciting out and about in SCRAPLAND! Have an INCREDIBLY awesome and PRODUCTIVE week!